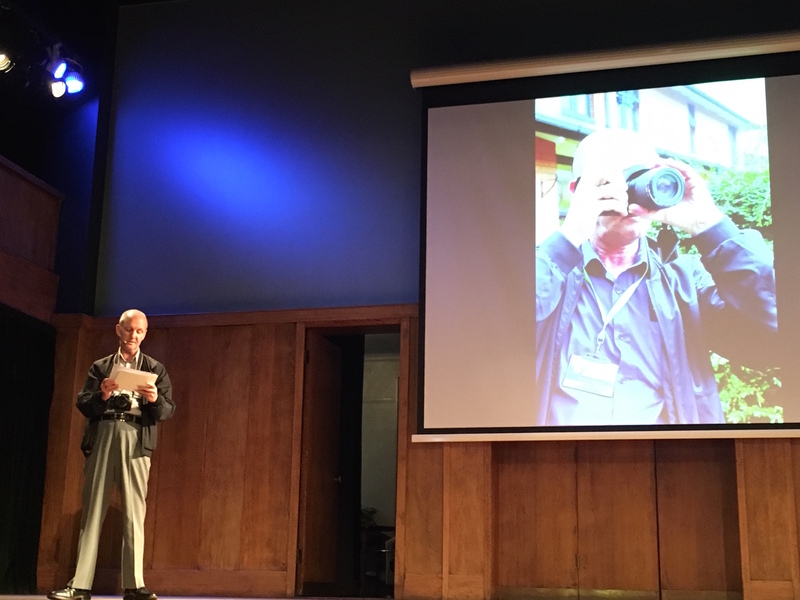 I recently went to a wonderful event, Being The Story, run by digital storytelling organisation, Sound Delivery (strapline – ‘we champion stories that need to be told’). Speaking in public for the very first time, Eddie shares his story of addiction, from alcohol to photography. Over the course of the day, twelve speakers with personal stories to share about why they were working for social change made the audience of nonprofit people whoop, cry, cheer, laugh, reflect and even sing, as we searched for inspiration to do the same. I met fabulous people and had one of the most energising days I’ve ever spent, supposedly at work. You can read more about the day here. It got me thinking about stories in my role as a coach and trainer supporting leaders in the purpose-led world to be happier, more productive and more effective. Stories have huge power, and not just as a way of influencing target audiences to give, understand or campaign. Telling stories is also a personal and professional development tool. One of the questions I put to my new coaching clients is “tell me a little about how you came to be the person you are today?”. With this question I’m inviting them to share their story. During coaching they tell me more as we explore how they can shine at work and encourage others to do the same. By telling their story, retelling it and shaping it, they make sense of their experiences and their story becomes their own. Having a coherent storyline for your life is hugely powerful self-knowledge, and, I believe, essential for leading others. It’s not just potential funders who are moved by stories. Storytelling will bring your team members along with you in a way that bullet points and rational plain facts simply don’t. Stories appeal to imaginations and feelings and allow a far deeper engagement. As Being the Story speaker, Marina Cantacuzino, from the Forgiveness Project, says “facts don’t stick, stories do”. A great leader knows how to tap into the power of storytelling to inspire others to work towards a joint vision, create change and work through challenges. When you share a relevant and meaningful story you provide a bridge to connect with other people. A tricky team member. A despondent colleague. An unengaged board member. It may be that they can be reached with a personal story shared in a truly authentic way. Humourous or self-deprecating stories can heal rifts when traditional communication techniques fail. Stories show that you are vulnerable too. I often start my Taming Time workshops with a funny (I hope!) story of how I was once an hour late for running my own time management training. I see how participants relax into the session knowing I’m not perfect, so they don’t have to be either. So, what stories do you have? So, how well do you know your own story? Are you a storyteller at work? Do you use stories to motivate and inspire your team? I’d love to hear your experiences. You can comment in the ‘reply’ box below. If you want support with being the very best leader you can be, give me a ring on 0208 772 7808 (or 07958 501 427) or drop a line to katie@be-the-change.org.uk to see how I can help. Oh, and keep an eye out for Being The Story 2018. I cannot recommend it enough.